Bring a little razzle-dazzle to your floors with this richly colored, plush hand-knotted wool rug. 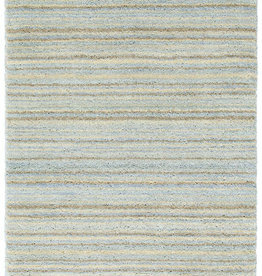 With its mix of stripes in calming neutral tones, this lush area rug works well as a showcase piece in a neutral room or paired with colorful pieces. Bring a little razzle-dazzle to your floors with this richly colored, plush hand-knotted wool rug. With its mix of light and dark stripes, this lush area rug works well as a showcase piece in a neutral room or paired with other colorful pieces. 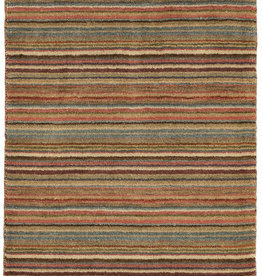 Bring a little razzle-dazzle to your floors with this richly colored, plush hand-knotted wool rug. With its mix of bright and dark stripes, this lush area rug works well as a showcase piece in a neutral room or paired with other colorful pieces.